Check out this article in the Central New Jersey Newspaper about our fellow K-36'er. Last week, we met up with some of our fellow K36 'ers for a camping trip. We had a great turnout as 9 out of 15 were able to make the trip. While several K36 'ers have already departed for their new Peace Corps assignments (Botswana, Fiji, & Bulgaria), the majority of us leave in mid to late June. We had a fun time camping, and it was great to spend time with so many before we all depart for our new assignments. John and I made a few stops along the way, visiting with family and friends we haven't seen in a while. We even caught a Bright Eyes concert at Bass Concert Hall on the UT Campus. We are saddened by the recent Peace Corps news. We will be returning to the United States sometime next week, as we haven't gotten our itinerary. Kiribati is a wonderful place with kind and loving people and we very sad to leave. We are in the process of re-enrolling/transferring within the Peace Corps, and we should have an update within the next few weeks. The Peace Corps staff has been very helpful throughout the entire time, and they are working alongside Washington to help move things along. Thank you so much for the emails, letters, and packages. We are so lucky to have such wonderful friends and family. We have uploaded a few pictures for now, so you can get a glimpse of what life was like for us in Kiribati. It saddens me to report that Peace Corps Kiribati is scaling back its program. The current domestic air situation does not allow us to support volunteers in the southern islands of the Gilbert Group. Consequently, we are relocating those volunteers located on Nonouti and all islands south of Nonouti to islands closer to Tarawa. Unfortunately, this move greatly reduces the number of site placements available to members of training group K36. As a result, Peace Corps has decided to offer re-enrollment/transfer options to all fifteen training group K36 members. 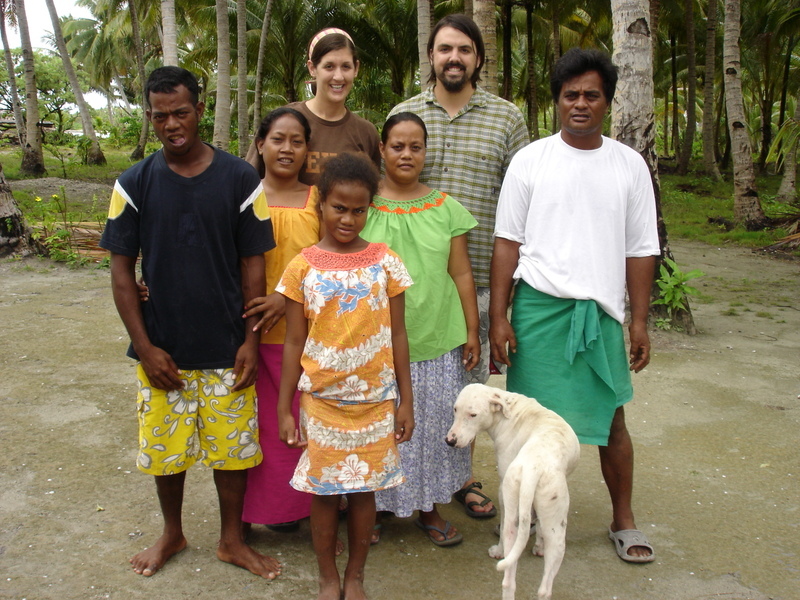 We at Peace Corps Kiribati share the disappointment felt by the newest members of our family. We are doing everything possible to facilitate alternative placements that will allow all members of this group to look back fondly, one day, on two valuable Peace Corps experiences. We take our promise to provide a safe and supportive environment for your loved ones very seriously. It is that promise that requires us to take this action. Your son or daughter (and in three cases, your mother and/or grandmother) will provide you with more detailed information. Additionally, I am available should you have any questions. Thank you for your patience and your understanding and for loaning us your loved one, albeit for a shorter time than we all expected. We have Center Day once a week throughout our home-stay in North Tarawa. Every Thursday, we hop on our bikes, and all meet up at the JSS. While our bike ride is about 20 minutes, one of the groups from a village further north has about a 45 minute bike ride to the training site. After a few minor bumps and crashes, we all arrived safe and sound. It was great to see everyone and share stories of what our lives are like here in North. We heard some great stories, and we shared lots of laughs. Lunch turned into a spectacle, as many of our host families brought lunch to us. Many families wanted to see how their I-Matang was doing, and what the other families brought. There were lots of people standing around watching us eat. The rest of Center Day involved Safety and Security Training, Tech & Educational training, and of course Health Information & Training. Our topic of discussion was "TB, Leprosy, Filaria, bugs, mosquitoes, and things that go bump in the night." All very interesting. We were even lucky enough to receive our 5th immunization. John didn't even flinch. All in all it was a great day, and we can't wait to get together again. On Monday, we had our official "Welcome Botaki" in Tabonibara. A botaki is a celebration or party. There are botakis for many things, such as 1st and 21st birthdays, funerals, welcoming, farewells, fund-raising, just to name a few. We were the guests of honor, so all eyes were on us. Our family dressed us up in local Kiribati clothing. Our aunt even did our hair, and we wore garlands of fresh flowers and leaves. At the botaki we introduced ourselves in I-Kiribati, we were presented with a wonderful array of foods, ate, danced, and gave speeches in Kiribati as well. We had so much, and we really enjoyed ourselves. Several current volunteers like to keep track of home many botakis they have attended, or how many hours they have spent at a botaki. The longest botaki for a PCV is 12 hours. On Saturday we loaded a waa in South Tarawa and headed north. After about 2 hours, we finally made it to North Tarawa. We unloaded the waa, a traditional Kiribati boat, we were given our supplies, and then we were taken to our new homes. We are split among three villages, and we each live with a homestay family. Our homestay families provide housing and food. We live in Tabonibara, with 3 other Peace Corps Trainees. We have language training twice a day, and we spend the rest of our day visiting and working in the local schools, spending time with our family, and enjoying life in North Tarawa. We live about 50 yards from the Pacific Ocean, and about 50 yards form the lagoon. We will spend seven and a half weeks here in North, before heading back to South Tarawa, We are enjoying life in Kiribati, and we are glad to have each other. "Let's see if you can float." This was the goal for water safety lesson. We were each issued like jackets for the duration of our service, and we jumped into the channel connecting the Pacific Ocean and Lagoon. It was great practice to swim with the current as the tide was coming in. Some even got swept down stream. The current can be pretty strong. We also had a session about water safety, as well as boat and marine safety. We spent the rest of the afternoon swimming and jumping off of the bridge.